Most people have done their taxes by now and hopefully you found that you have a refund coming. 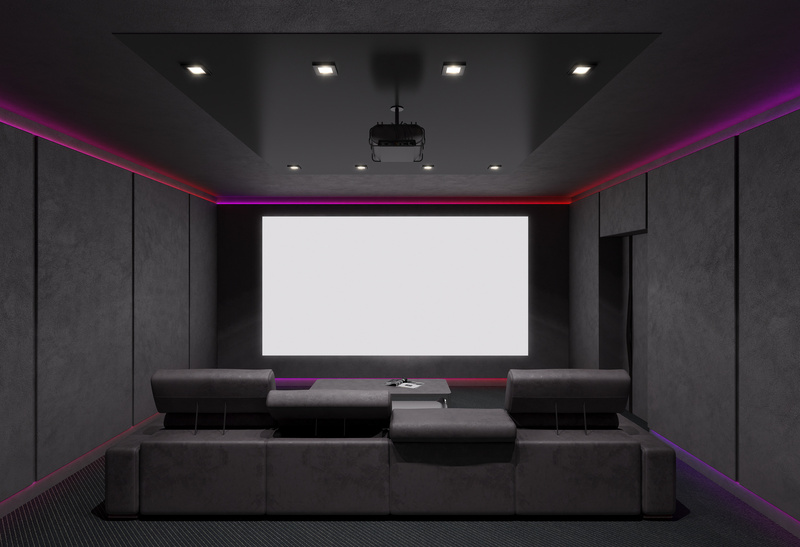 It’s exciting to have some unexpected money to spend and you may want to use your tax refund to upgrade your home theater. Depending on the amount of your refund, a home theater will provide better entertainment for your family and friends and might even increase the value of your home. Whether you just want a few basic audio visual upgrades or you have a complete home theater in mind, at Palm Desert Rangel Electric, our expert team will help you from idea to installation. Even with just a little bit to spend, there are a few upgrades that can significantly improve your home theater. Incorporating a universal remote can simplify your home entertainment system by syncing all of your audio visual components into one remote control. Installing surround sound will dramatically improve your home theater experience, creating depth of sound and immersing you in the excitement of your program. Adding a media box or air play system allows you to stream movies, photos, games and more from your computer or other devices to your TV. If you are imagining creating your dream home theater, Rangel Electric can make this happen for you. Our experts will meet with you in your home to understand your vision, design your space including full audio visual and lighting design, recommend components, and professionally install your entire system. If you choose, we can integrate a smart panel to manage all of the electrical systems in your home. Investing in dedicated home theater can mean more than just improved entertainment for your family and friends, but can set your home apart from similar properties also potentially increase the value of your home. 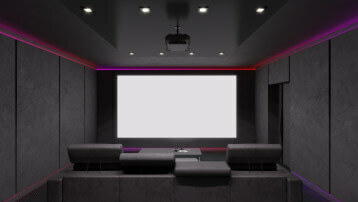 Whatever you may be imaging to use your tax refund to upgrade your home theater, give us a call at Rangel Electric. From a few audio visual upgrades to a fully-integrated home entertainment system, our experts will help you achieve your home theater dreams. We provide non-invasive, professional installation, hiding wires to ensure a clean and professional finish. Every home theater project is unique and we look forward to helping you take your home entertainment to the next level.